Tonight I received two emails from Facebook telling me that there had been unsuccessful login attempts to my Facebook account. Facebook asked me whether these logins were done by me. Since I have two factor authorisation turned on, the attempts would be futile, but I became curious after reading the emails. You can see the full message I received in the photo above. 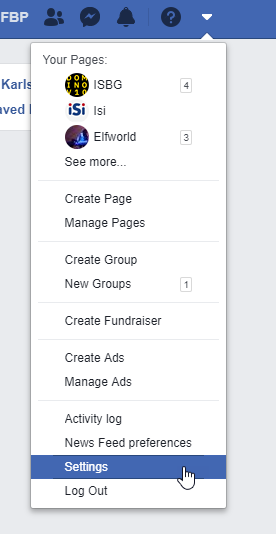 As you can see, there is a button in in the middle of the message telling me I can just click on it to log on to Facebook. This, combined with the fact that the email was sent from the domain name facebookmail.com aroused my suspicions further. I was sure this was an attempt to get me to click and be taken to a site filled with malware. I googled the message text and found that many people have received such emails from Facebook in the past few years, and all these articles said that the emails were in fact genuinely sent from Facebook. However, I still wasn’t convinced. But then I suddenly remembered: Facebook keeps a list of every email they have sent you! It would therefore be easy for me to check whether these emails had in fact been sent by Facebook or not. I now saw that this list showed that Facebook had indeed sent me two emails warning me about someone trying to log on to my account. Yikes! You can also see other emails that Facebook has sent you by clicking on OTHER EMAILS.